The Morecambe Bay coastline, much of which is of international ornithological interest, offers an array of landscapes from the distinctive limestone scenery of Arnside and Silverdale Area of Outstanding Natural Beauty, through glazed saltmarshes and agricultural land, the seaside resorts of Morecambe and Fleetwood, as well as well as the major river estuaries of the Lune and Wyre. to stunning views, quiet lanes and rare wildlife. 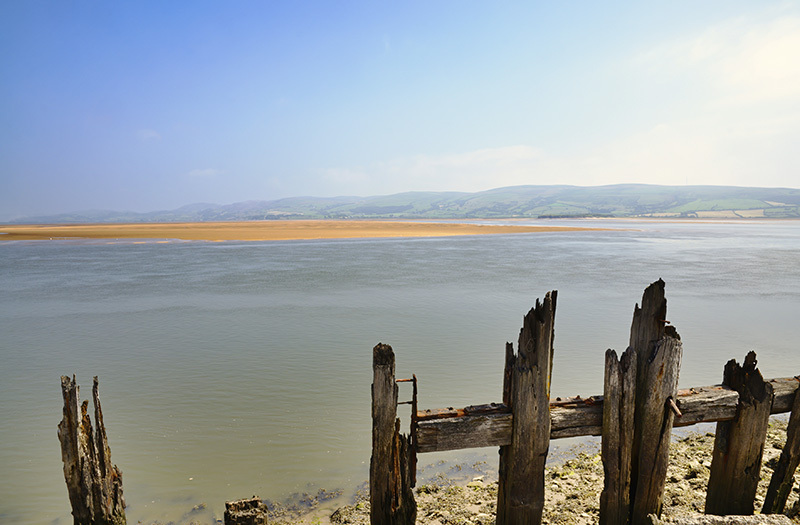 And Morecambe Bay and the surrounding area offers a terrain and distance to suit everyone. From short, gentle rambles to long distance treks, you can download a whole range of walks that allow you to explore the area. The four easy walks detailed in this leaflet allow ample time and opportunity to explore the countryside which links two of England’s Areas of Outstanding Natural Beauty; The Forest of Bowland and Arnside and Silverdale. 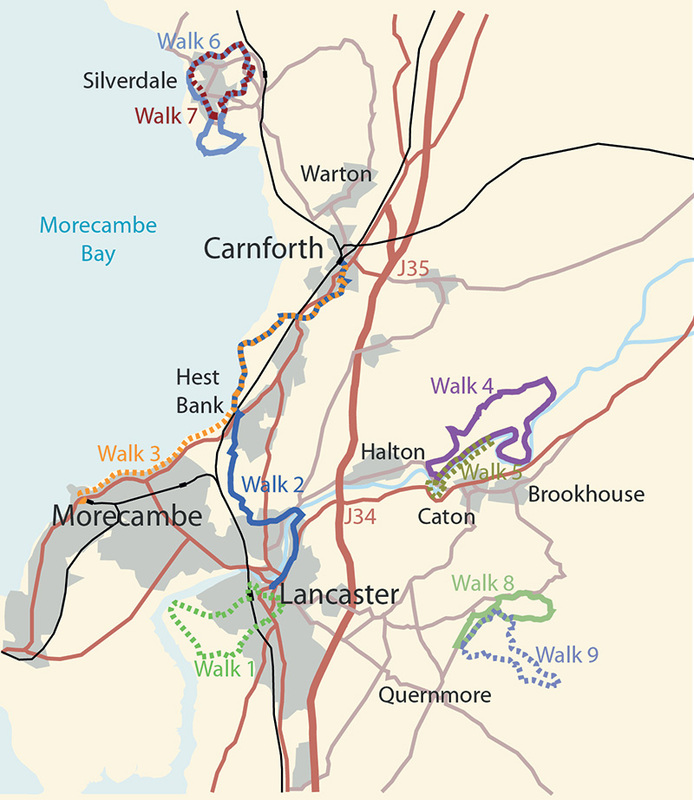 Eight walks of different ability around Lancaster, Morecambe and the Lune Valley. Walks range from 3 to 9 miles. Offers some of the most beautiful and remote walking in the country, from the grandeur and isolation of the moorland hills to the undulating lowlands with their distinctive pattern of settlements, woodland cloughs and river valleys. These landscape contrasts, along with the serenity and tranquility of the area make this a walker’s paradise. As well as the fell tops and moors, there are extensive opportunities for shorter and less challenging routes in the valleys, most especially riverside walks which abound in the area.